Having your Social Security number or card stolen isn’t quite like getting your bank account information taken—though granted, both are stressful experiences. The major difference is that you can get a new bank account number, while the Social Security Administration very rarely issues new Social Security numbers. If you’re unsure what an SSN is, the Social Security Administration loosely defines it as a nine-digit number for identity-tracking purposes. Whenever you start a new job or apply for government benefits, you need your Social Security number: it will be used to verify your identity and record earnings. You can locate your Social Security number on your Social Security card—if you can’t find your card, make sure you reach out to the Social Security Administration directly. Look at it this way: Social Security numbers are wrapped up in most aspects of Americans’ lives—employment, medical history, taxes, education, bank accounts, and so on. Below is a list of just a few things someone can do with your SSN if they get their hands on it. Someone using your Social Security number could also undergo medical treatment, effectively tainting your medical records. Inaccurate medical records can have deadly consequences—for example, imagine what could happen if you received treatment based on a false history listing the wrong blood type. Additionally, it’s possible for thieves to poach your health insurance coverage, which could leave you in a bind when you need it. So the sooner you file your taxes, the more likely you’ll get your refund before an identity thief has an opportunity to take advantage of your stolen identity. You’ll know someone stole your identity if your return is rejected as a duplicate—then you get to start the process of resolving the fraud and, if necessary, getting the refund you deserve. Anthem Data Breached so now we should stop using SSN as a Password. would be required to establish a new line of credit etc. I thought that when Social Security was created that Roosevelt promised that your SS# would never be used as a permanent # that would be used as a National # registry. However when I enlisted in the navy in the mid 70’s and my SS# was used as my service number I knew that that promise was a lie making it even easier for crooks to gain that information. Which proves that you cannot trust anything that the Govt. tells you!! Could someone explain how identity thieves can do anything with my SSN these days? The article talks about opening up a line of credit and getting loans, but all of that requires you to verify things like date of birth and especially drivers license number. I know because recently I tried getting a new line of credit and the person putting in my driver’s license miskeyed and I was rejected because they couldn’t verify it. They had everything else, DOB, SSN, etc. but license was wrong. Any idea how a thief could get by without my license? There are many online lenders that don’t require a driver’s license number. With a social security card, they can file for a birth certificate, file for a new I.D. and all is lost for good. Very Dangerous. 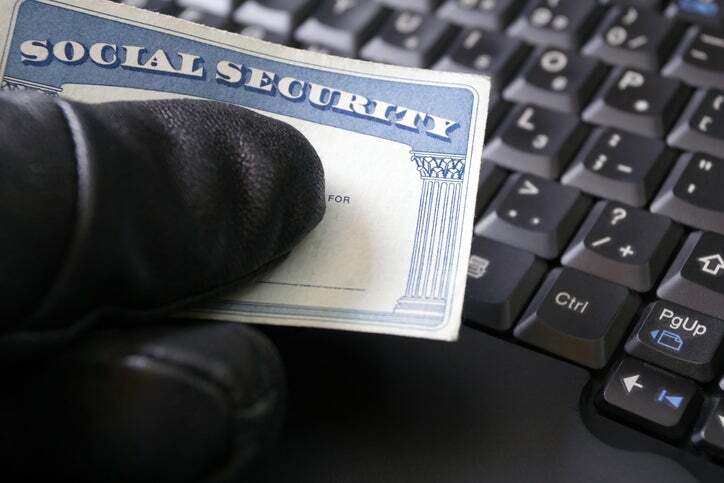 if someone has stolen your social security number they can do a lot of damage, but don’t they also need an id, like a drivers license as well to open accounts and other damaging stuff? or can they get an id just using your social security number, they also have my name and address is that all they need to get an id with my name?